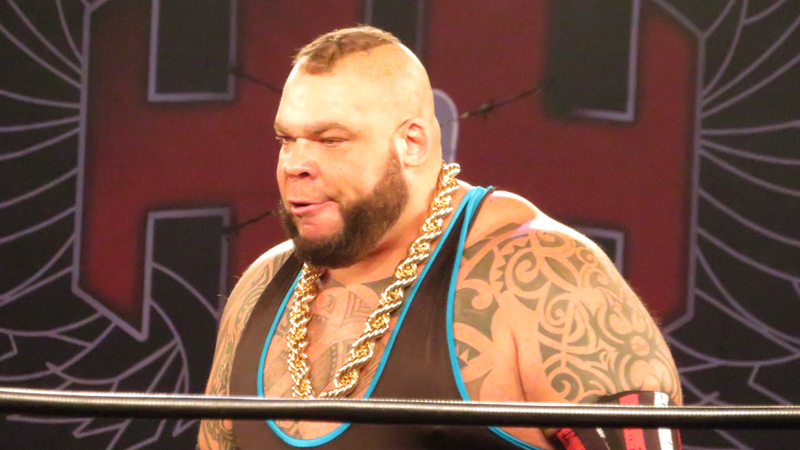 Former WWE Superstar Brodus Clay (aka Tyrus) was a recent guest on the Why It Ended with Robbie E podcast. Clay opened up about his WWE career, what he thinks about celebrities in wrestling, John Cena‘s role in his WrestleMania moment, slow dancing with Dusty Rhodes, and Vince McMahon‘s role in pushing the Funkasaurus character despite Triple H wanting him to be a monster heel. Highlights appear below. I had some body issues. He showed up to work one day with no shirt on, just walking around. Vince had called and said, ‘We want Brodus in trunks.’ I was like, ‘I don’t want to wear trunks. I’m trying to lose 100 pounds here.’ He was like, ‘If I can do it, you can do it.’ After that, I didn’t give a damn. The situation with the girls – with Cameron and me – it was toxic. It was just so toxic and one night she made a mistake going out to the ring. The pyro went off because she took too long to get to the ring. I had to pull Matt [Bloom] down and we get to the back and I basically told her she sucked and in this day in age, you can’t tell a woman that she’s not good at her job, so it became a thing. I wouldn’t apologize because I was convinced she sucked. I don’t think I was too wrong on that, but it wasn’t my place to say it. It should have been coming from somebody else.